We are in full-on theme park mode after a great trip to Florida and I have tons of information to share. If you’re in a LEGO-loving family like me, buckle up! 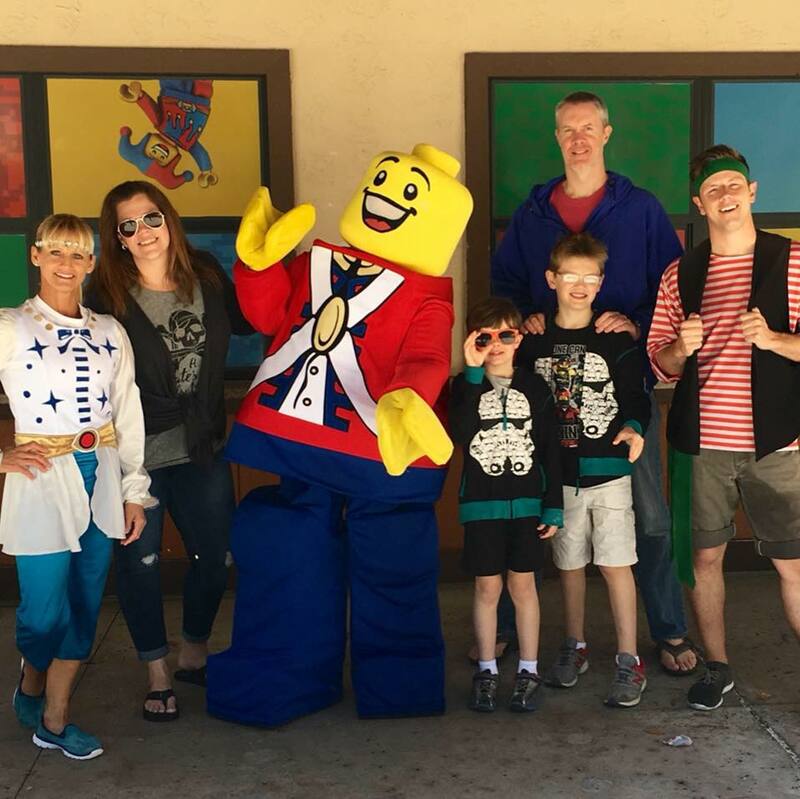 I’m sharing my top LEGOLAND Florida Resort tips so you can plan a trip that will make the kids say, everything is awesome! But first, a special thanks to LEGOLAND Florida for providing my family with park admission. On with the show! 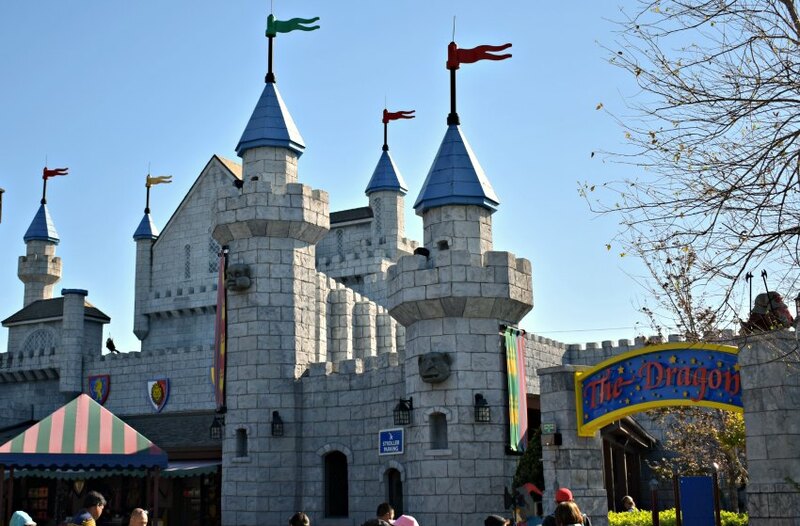 Despite the fact that LEGOLAND Florida is smaller than other theme parks in the area, there is a lot to do! If you can swing it, I recommend staying for a few days right outside the park at the LEGOLAND Hotel or across the street at LEGOLAND Beach Retreat like we did last year. No matter where we go, my kids always talk about the hotel and/or the hotel pool. And the theming here is an attraction in itself. I suggest this for a couple reasons. First, it’s just fun! Staying in the same place for a few days always lends itself to a more relaxed experience for both kids and parents. 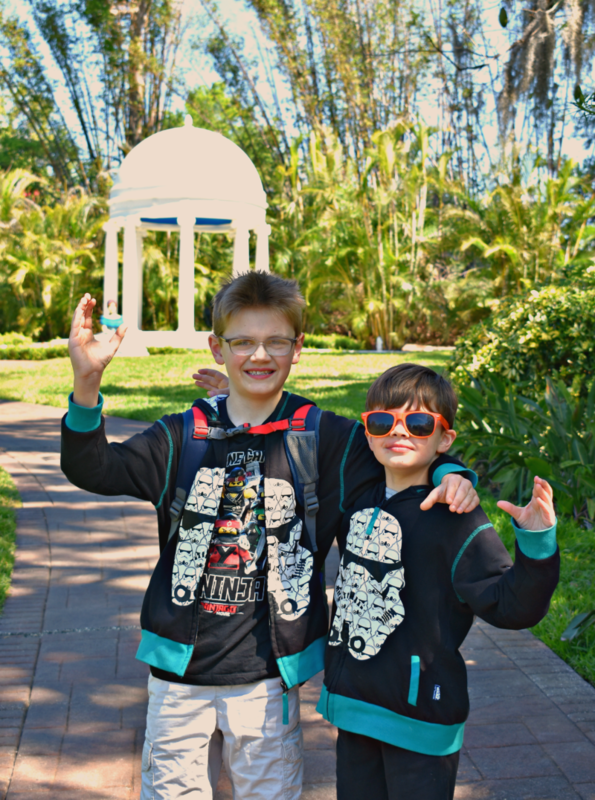 And if you want to experience everything LEGOLAND Florida has to offer, it’s tough to fit into one day. Believe me, we tried. Secondly, now that the LEGOLAND Water Park is open for the season, you’ll want to allow plenty of time for swimming, sliding, and floating down the lazy river. The water park is located in the back of LEGOLAND Florida Resort and if you want to make the most cost effective choice, you’ll want that extra time. 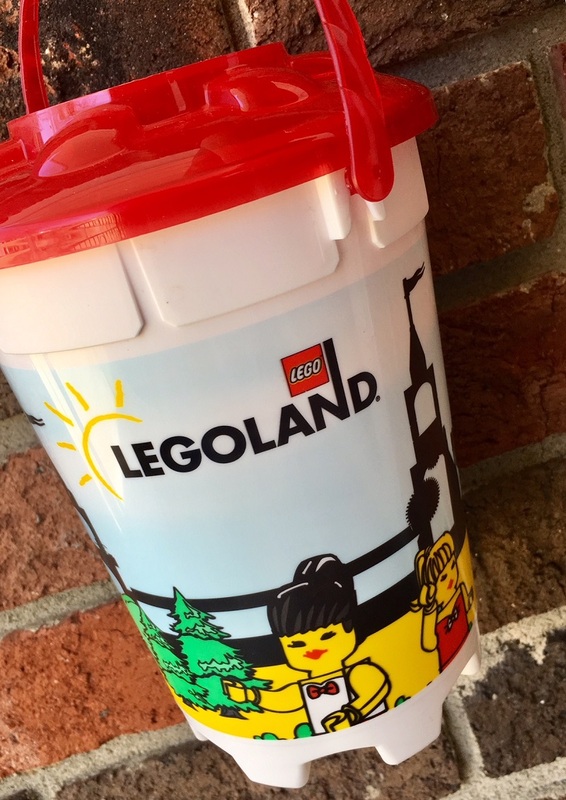 See our thoughts on Legoland Water Park in this post. In short, we loved it! Before your visit, take a look at the online park map and decide on which attractions you are sure you want to do. Then, when you arrive at the park, check the daily schedule for shows and entertainment to make your final plan of attack. For instance, other than rides we knew we wanted to meet some characters and see the Pirate’s Cove Live Water Ski Show, both of which have limited times to choose from. Make note of your times and work around them so you don’t miss out. Character opportunities are on a schedule and typically in only a few specified locations. On our first visit, we didn’t see any characters. This time, we met three! In our family we have one adventurous kiddo and one who prefers the playgrounds and more gentle attractions. Thankfully LEGOLAND has plenty of both! My husband and I are getting to be pros at the whole divide and conquer thing. We take turns with each child doing various activities and it works out great. 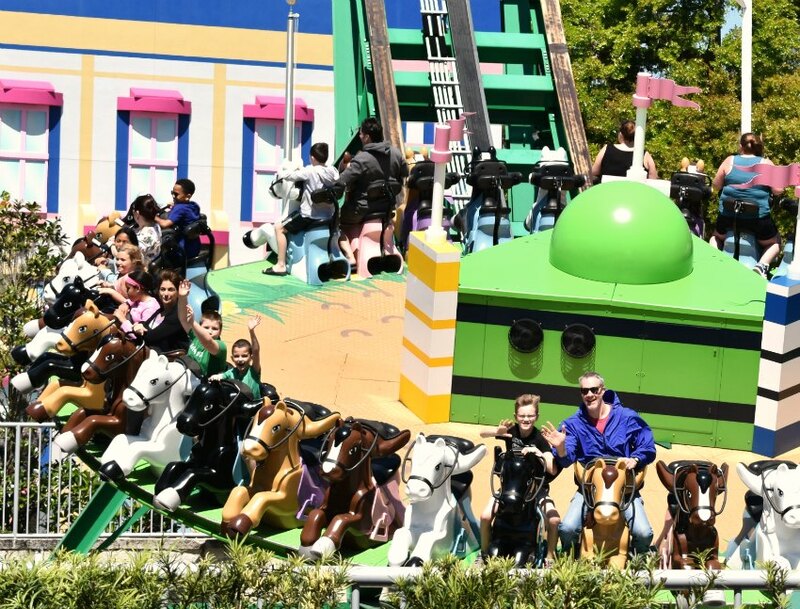 We missed the opening of the brand new VR ride, The Great LEGO Race by mere days so we already have something else to try on our next visit! 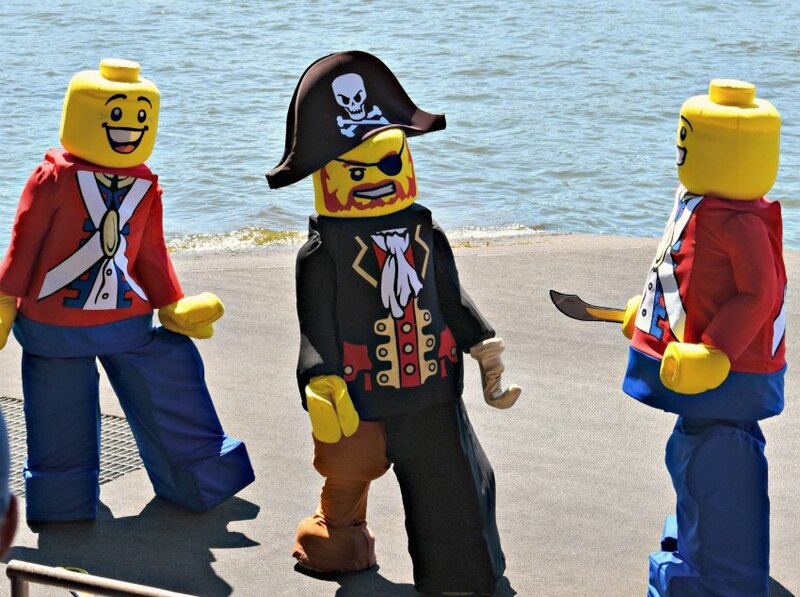 I love that LEGOLAND really caters to younger children because when it comes to theme parks, they can be a bit left out sometimes. 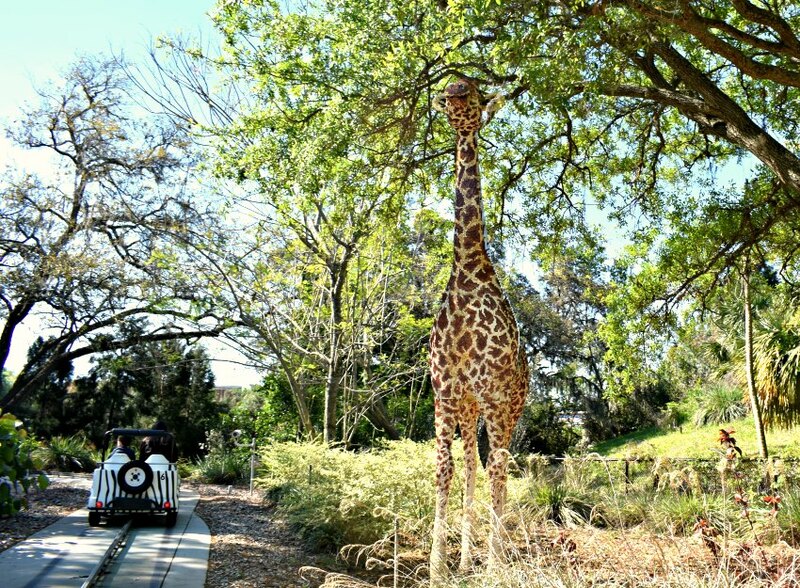 Here, there are gentle rides like Safari Trek and several themed playgrounds for littles to explore. Not to mention the massive Imagination Zone with tons of indoor fun. Pro tip: this is a great stop for those rainy Florida afternoons. Ask me how I know. 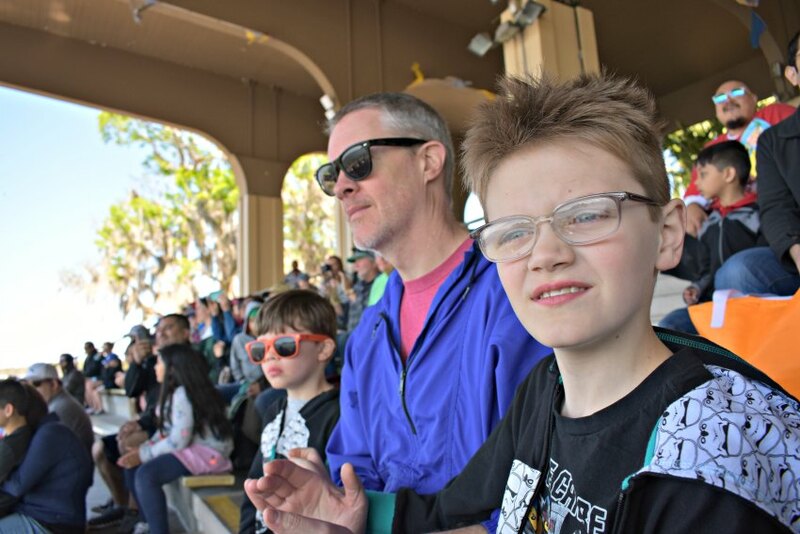 With Calvin’s touch of sensory anxiety, I felt great knowing that even though he only did two rides, he had just as much fun as the rest of us. 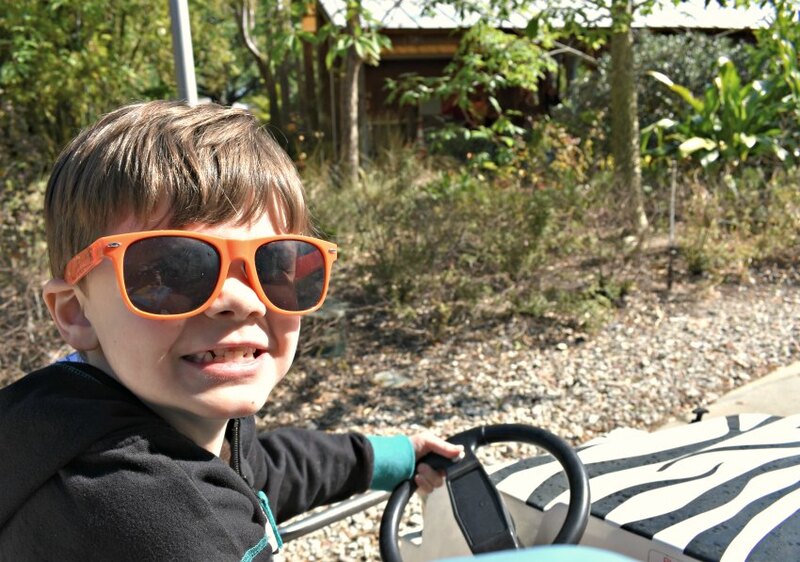 He was nervous about driving on Safari Trek but as you can see, he loved it and was so proud of himself for trying something new! 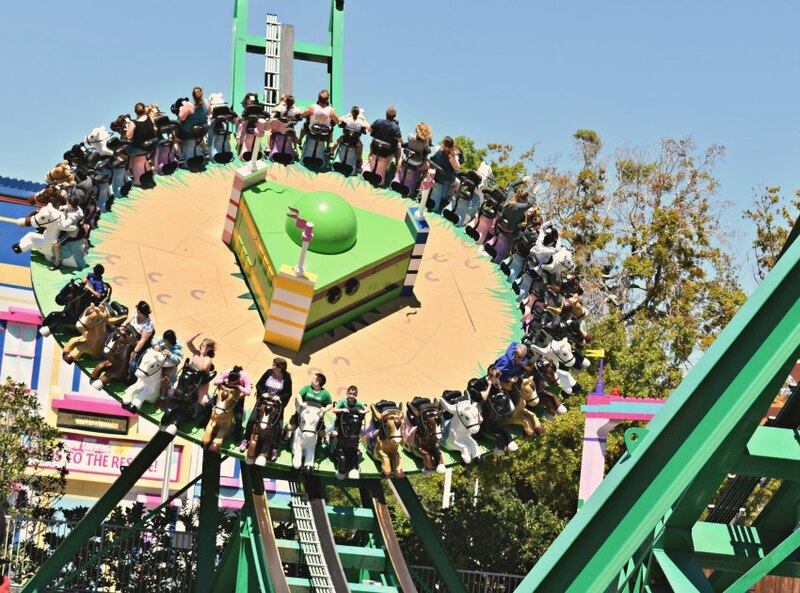 And of course a family favorite we can all enjoy together is LEGO Ninjago The Ride! This is my personal favorite because we can ride four across all at the same time and it’s interactive! 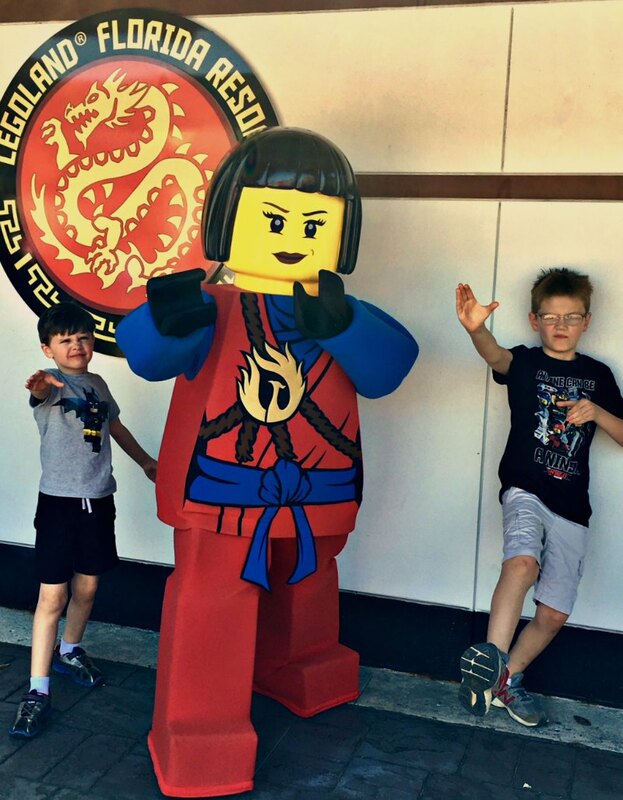 But really, we love all of LEGO Ninjago World. I mean, who doesn’t? So you want to know about the food? Well, if you want to bring your own food into the park, you can and this will definitely save you some money. Theme park meals aren’t cheap no matter where you go. That said, there are plenty of places to grab a snack or a meal. 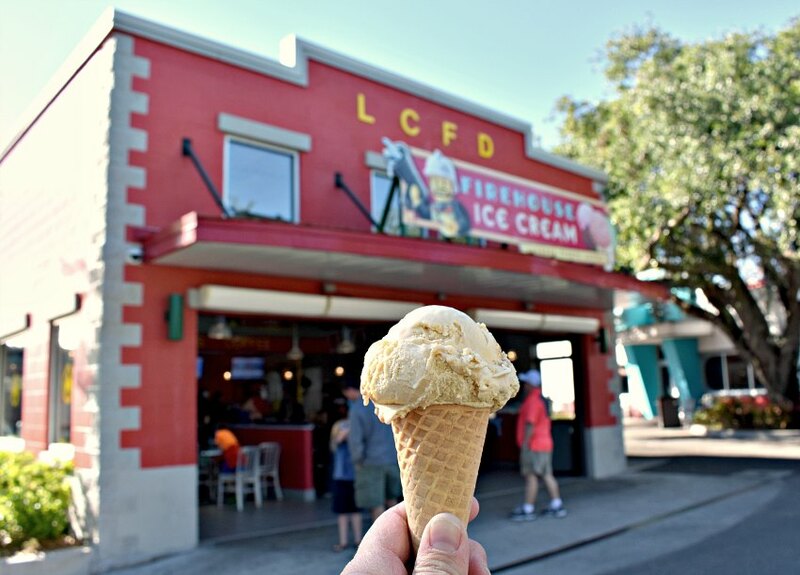 Two of our favorites were yummy cones at Firehouse Ice Cream and refillable popcorn available at carts throughout the park. Popcorn in a souvenir bucket is a little under $10 the first time and $3+ tax to refill all day. And of course if you’ve never had them, Apple Fries are a LEGOLAND must! One of my favorite fun facts about LEGOLAND Florida is its location. 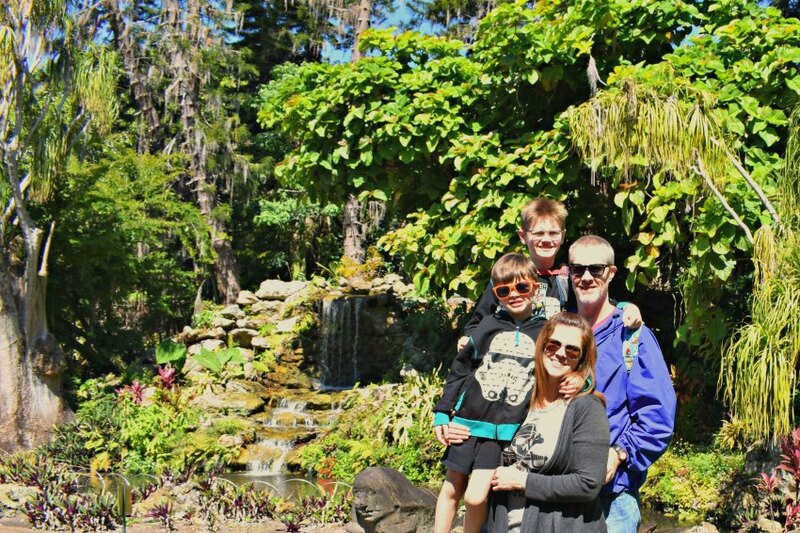 It was build around Cypress Gardens, which is a historic botanical garden that has been in the area for decades. In fact, I used to visit this very spot when I was a little girl before LEGOLAND Florida ever existed! I love it when memories come full circle. And yes I am that mom saying, when I was a little girl…. (insert granny joke here). I have more information and photos to share about Cypress Gardens, including the incredible banyan tree that was planted nearly 80 years ago! Here are a couple to tide you over. it was such a sunny day! Since the entrance to Cypress Gardens is right next to Pirate’s Cove, we spent about 30 minutes exploring before the Live Water Ski show. It worked out perfectly! 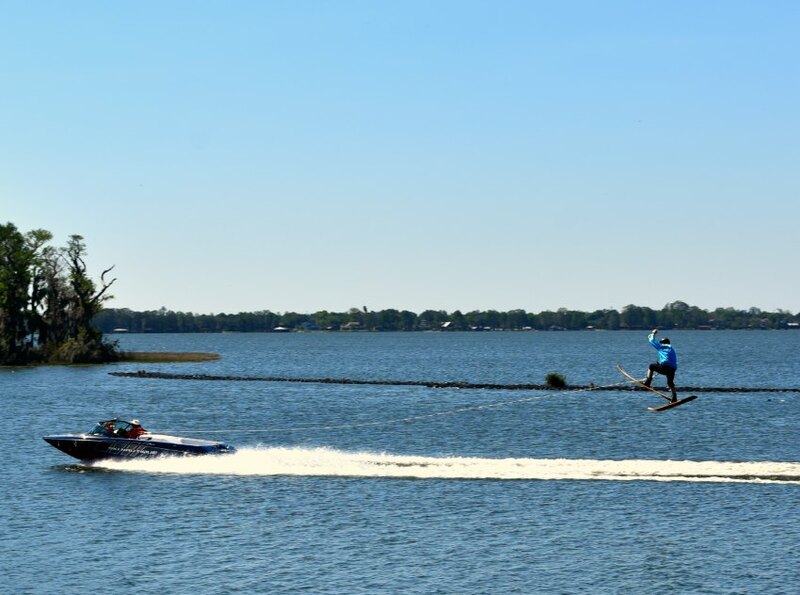 Another Cypress Gardens carryover is the amazing live water ski show. Of course, there weren’t any water-skiing LEGO minifigures when I was a kid but the show was just as mesmerizing! On our last visit, it was canceled due to rain so I knew it was a must-do for this trip. Our whole family loved it! 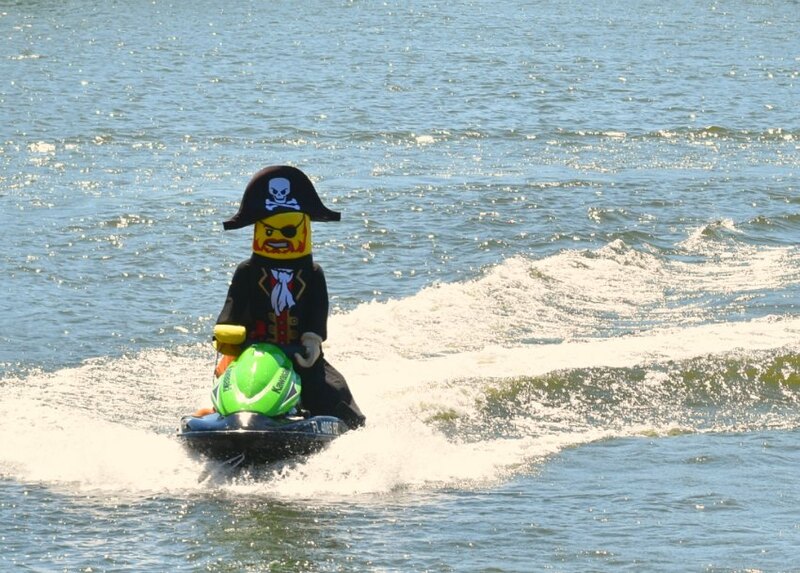 There was plenty of LEGO fun as the crew fought against Captain Brickbeard and his men, mixed with really cool water-skiing stunts in the 20 minute show. Just watch out where you sit! The first 3 or 4 rows are definitely in the splash zone! As you leave, head to the left as you exit the stadium for a meet and greet photo-op with some characters from the show. Ours is above! So are you ready to plan a trip yet? 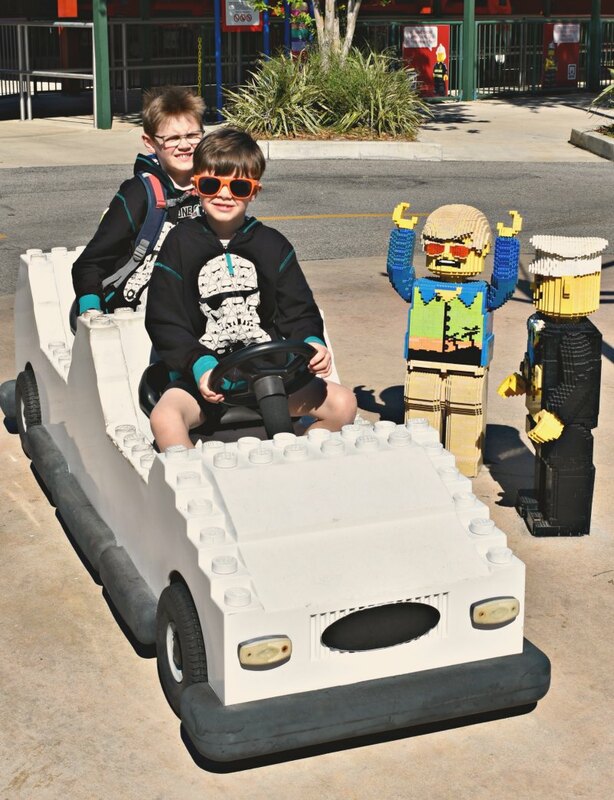 I’m so glad we had the chance to visit LEGOLAND Florida with the boys this year. 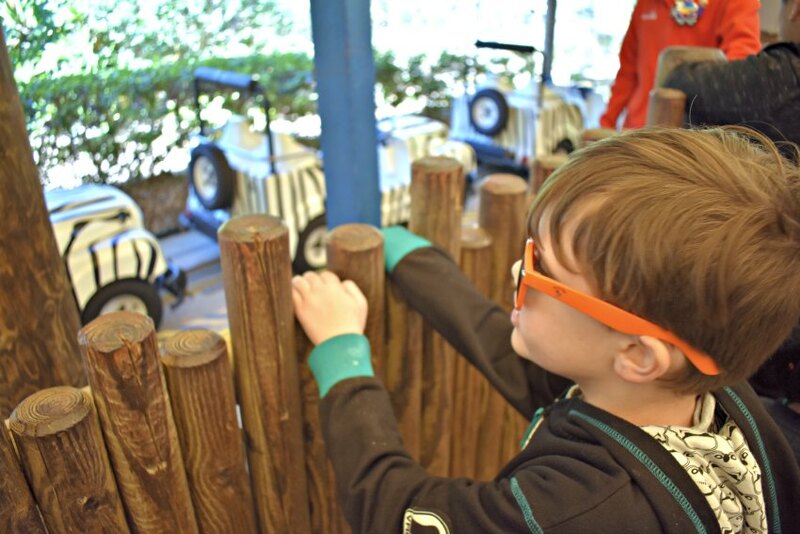 At ages 6 and 9 it really is the perfect park for our family with something for everyone and a great addition to our growing list of Florida favorites. Was this review helpful? Please share and save for later!